This easy beach access vacation home is located just 1/4 mile walk to Parkers River Beach, .35 mile walk to Seaview Beach, .5 mile walk to South Middle Beach, and .9 mile walk to both Smugglers Beach and Seagull Beach. Parkers River, Smugglers and Seagull have changing and showering facilities along with food concessions. Playground areas and life guards in season. Boat launch and fishing pier at Smugglers. This gorgeous home is new to market. The meticulously maintained and loved property needs nothing. It has central air conditioning throughout the house with downstairs and upstairs controls, WiFi services, lovely decorator colors, window treatments, lighting, woodwork, ...and an easy stroll to the sandy ocean beaches down the street. 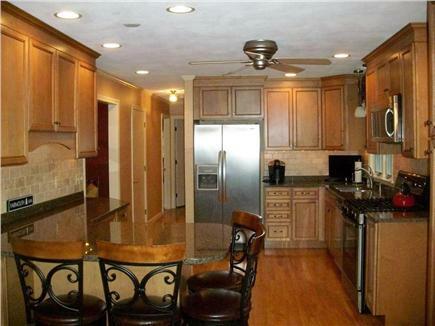 Its features include gleaming hardwood floors throughout; a splashy kitchen with granite counters, stainless appliances & an island breakfast bar; a cozy living room with large bay window and decorator fireplace; a lovely dining room which is perfect for big family dinners with guests who will not want to leave! 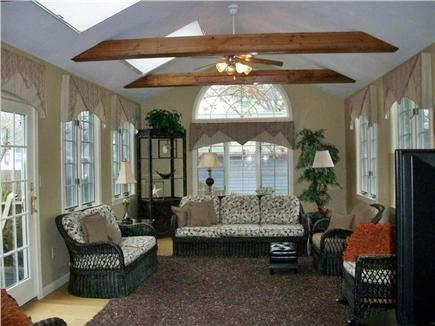 Soaring cathedral ceilings and huge sun filled windows light up the dramatic family room. 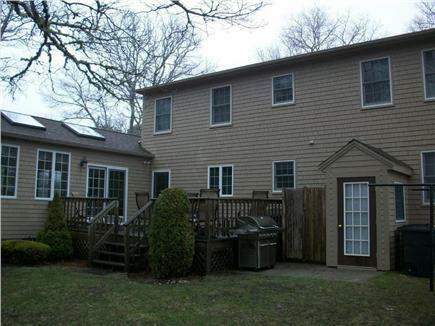 Add FIVE bedrooms and 2.5 baths. The first floor has a large kitchen, dining room area, living room and a large sunlit family room, a full bathroom including a tub and shower, and 2 bedrooms. 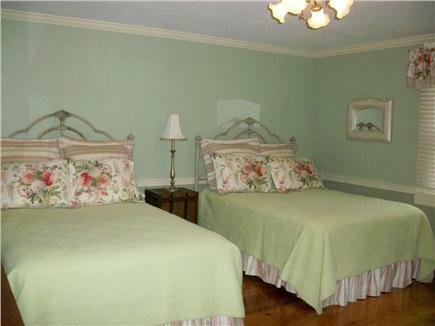 The bedrooms have 1 queen with half bath and another queen bedroom. Upstairs has 1 bedroom with 2 double beds, another with a double bed and a third with 2 twin beds. Upstairs has full bathroom. 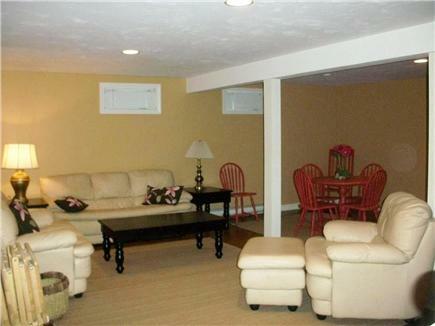 An added feature is a finished basement...there is certainly room for all. Don't miss this wonderful and special property located in a terrific but private beach location. 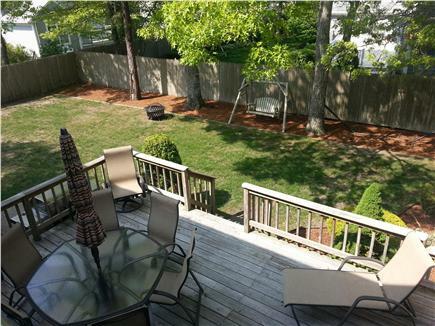 Big back yard with large Deck and patio furniture, a BBQ grill, fire pit & outdoor shower. No need to pack up the car with loads of bed linens and bath towels. No need to rent them either. 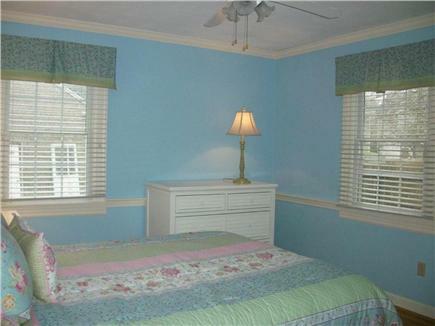 Just leave the beds made and our cleaning service strips and replaces with clean bed linens and bath towels. leaving you extra time on departure day as all you have to do is pack, do normal check out routine leaving time for breakfast. Bonus: Home cleaning fee of $250.00 is included in the June through August rental fees. Near all South Yarmouth attractions - Pirate's Cove Mini-Golf, Skull Island mini golf and Sports complex, Parasailing & Jet Ski rentals, Cape Cod Inflatable Park, Cape Cod bike trail, Golf and much more! Restaurants are abundant - Captain Parker's Pub, Skipper's Restaurant and Chowder House (across the street from Parkers River beach) enjoy the view and a cocktail on the outside deck or grab an ice cream. Lobster Boat Restaurant, Riverway Restaurant, Yarmouth House Restaurant, The Pancake Man, Ann & Fran's Kitchen, and more! Close to 2 supermarkets and plenty of shopping destinations. Come and make your vacation memories this summer! We walked to the beach several times. House was better than the web site pictures. Great for all ages. We had family members from 1 year old to 82. Great backyard for yard games and nice deck. Dining room big enough for all. My husband and I spent a wonderful week with our adult children and grandchildren at Brian and JoAnn’s beautiful beach house. The house has everything you need...the owners have paid attention to every detail. The back yard is beautiful and we all had fun hanging out there. The location is great and it is an easy walk to the beach which had all the amenities you could want including a playground for the kids! Hopefully we’ll be able to come back again some time soon! Very clean, organized & spacious home. Listing is accurate and home owners readily communicate. Plenty of room for extended family of nine adults. We would rent this home again in the future. 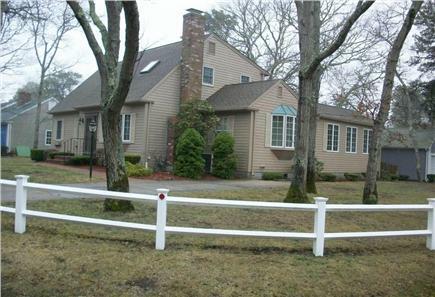 We are a family that rents a home on Cape Cod every year and this home was perfect for our family. 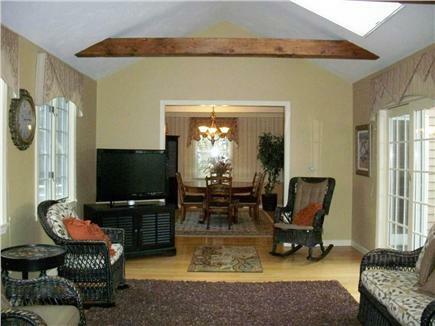 A very spacious home in a great location made for a very relaxing time. 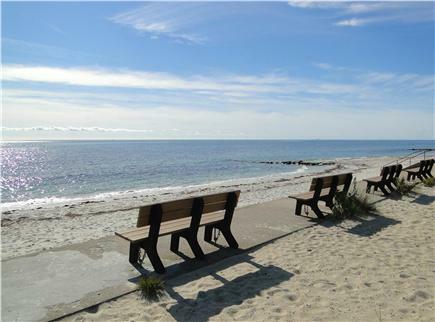 The beach and many area activities are a walk or very short distance away. 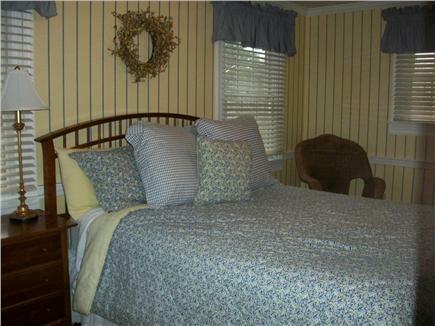 The home is clean, well maintained and has great amenities, including central air. The owners are easy and accommodating. All in all, it was the perfect vacation for our family and I would rent here again if our schedules allow. My extended family had the privilege of staying in Brian's home over the holiday and found both the home and the location perfect. 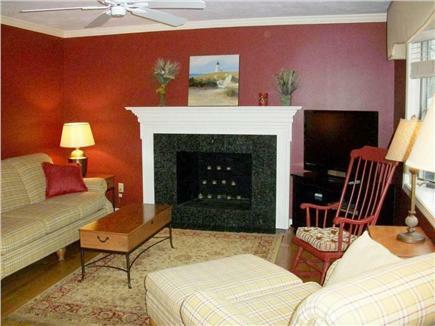 The house is beautiful, spacious, well lit, with excellent finishes and appliances, gorgeous and comfortable furnishings. The porch and outside shower were a joy to use and we spent most of our meal time outside enjoying the yard. 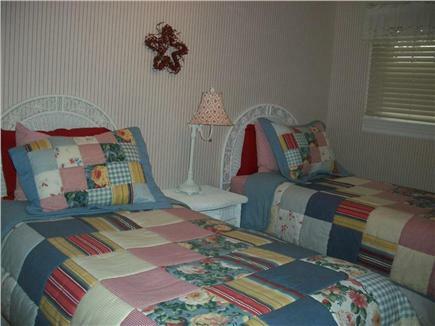 The house is very well stocked - linens, towels, beach chairs, paper goods, excellent variety and quantity of dishware. The finished basement allowed some of us work in the peace and quiet when we had to catch up on office tasks while waiting for the traffic to die down. The walk to the beach was short (about 10 minutes) and easy, even with young kids, although sometimes we sent an adult with kids in a bike trailer and the rest walked. There are plenty of restaurants in near proximity and things for kids to do (mini golf, inflatable park, etc). The owner (Brian) was very responsive and exceptionally accommodating. We have rented homes in the Cape for nigh 20 years now, and Brian's home is a huge step above of your usual "bring your own sheets and linens" and "sleep 4 to a bed" rentals. It really is very well set up and equipped, thoroughly adding to the enjoyment of the Cape. My wife and I have been involved in this home since it was built by my wife Jo Ann's mother and father in 1982. This house has been well taken care of and maintained with new additions and changes almost every year. We have 4 children and 3 grand kids, so we know what its like when the house is full!!!!! Plenty of space for all!! JoAnn and I grew up in Holyoke, MA. Being in the sales world I always have my cell phone on me at all times, and all emails are forwarded to my phone; Therefore, I am very responsive to all of your needs! .25 miles to the Parkers River Beach and 4 other beaches are within .9 miles, large back yard and deck, central air with upstairs and downstairs controls. 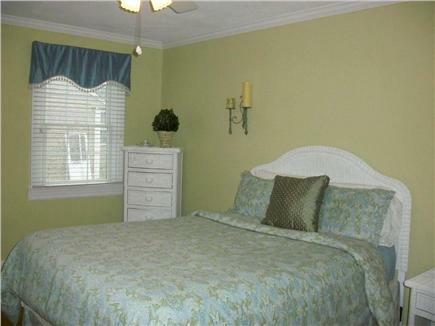 Close to all restaurants and attractions, like new, 5 bedrooms/2.5 bathrooms, central air conditioning. Near the beach, tons of entertainment, restaurants, and shopping. Mid-Cape, so you can easily go sight-seeing all over Cape Cod.